The most beautiful swimming hole I’ve ever seen! 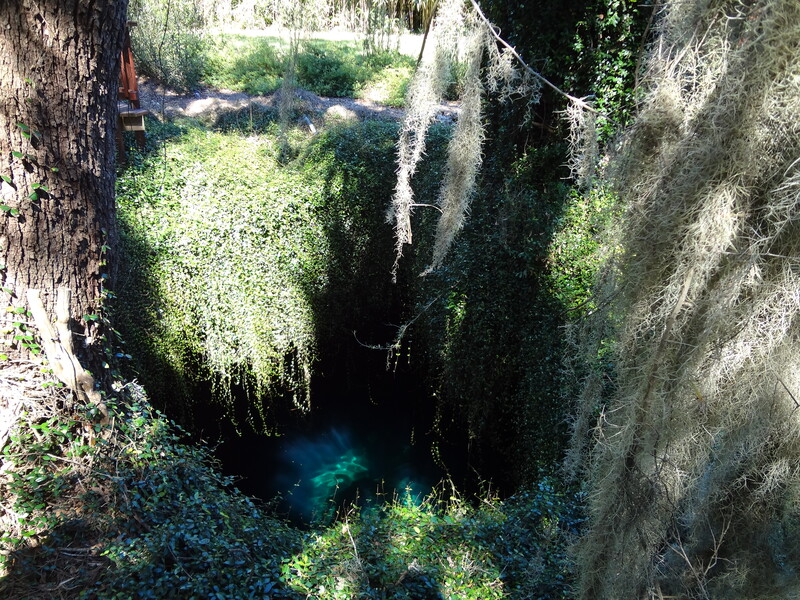 This pre-historic underground sink hole is located in Williston Florida. Devils den is open every day of the year except christmas. 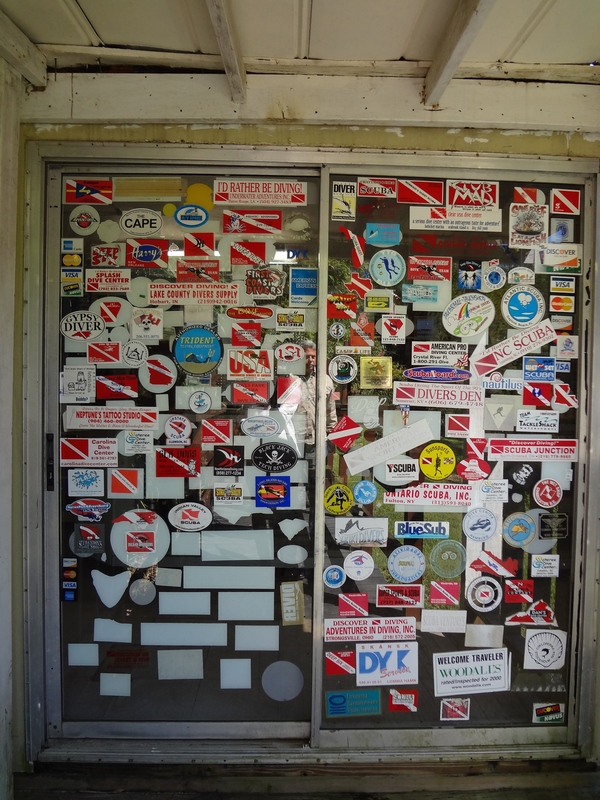 You aren’t technically allowed to swim here, you must snorkel or dive. 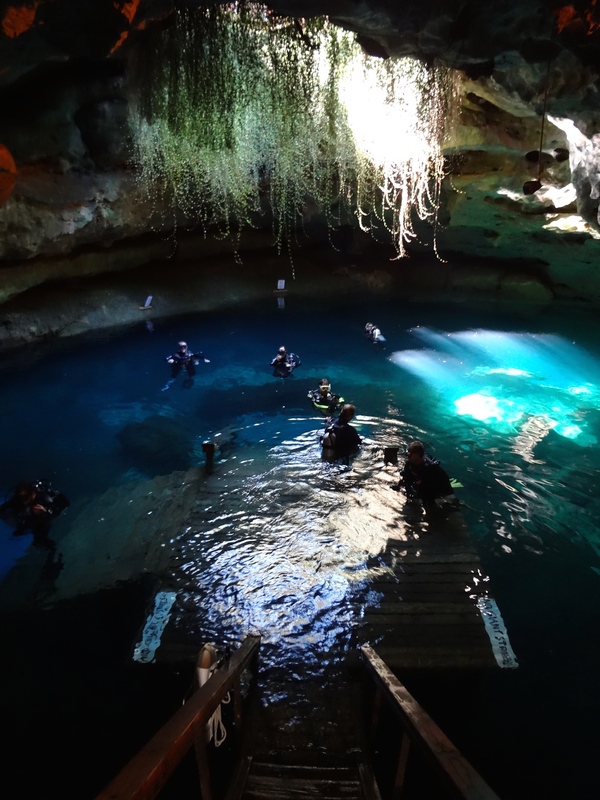 The spring goes down to a depth of 50 feet and is actually one of the most famous fresh water dives in the world. Every time I come here I love talking with other visitors because they are almost never from the states. The facility has rentals for everything you will need, but your more than welcome to bring your own mask and snorkel. They also offer RV camping, tent camping, cabins, and horse back riding. The springs crystal clear waters are 72 degrees year round which makes diving or snorkeling in the winter months pleasurable. As you enter the cave you’re immediately surrounded by a thick steamy cloud of warmth that rises up from the water making its way through the caves chimney. 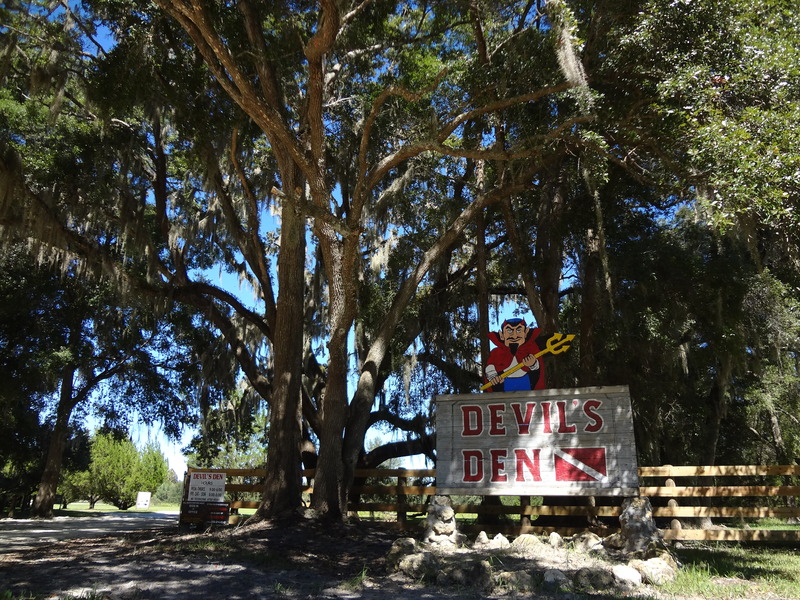 This is why early settlers named the area Devils Den.